If you can't focus at work, it's time to make some changes. If you're unhappy at work, you're not alone. But you're also not helpless. Happiness is an emotion you can control by making changes in your environment, situation or attitude. Take some steps to find out why you're unhappy and how to fix it before you throw in the towel and walk out. It could only be a slight modification or perhaps you need a total career makeover. You'll only know by asking yourself the right questions. 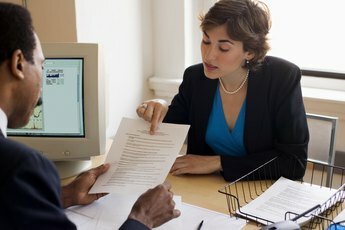 According to experts at "Harvard Business Review," workplace unhappiness means that some part of you is not being heard. Take a journal or sheet of paper to work one day and track your mood. Just like a dieter tracks her calories and meals, track those moments during the day when you feel frustrated, overwhelmed, bored or anxious. Write down your feelings, noting the time and what you were doing. For example, "I am preparing to teach a class," or "I am waiting for my co-worker to return an email so I can move forward on the project." Check your journal at the end of the day and try to locate patterns. In each instance that you were anxious or frustrated, see if you were waiting on someone else to complete something so you could move forward, or were anxious each time you were about to meet with a client or face a group. Try to attach your emotions to the types of activities you were doing. Odds are, you don't hate everything about your job. 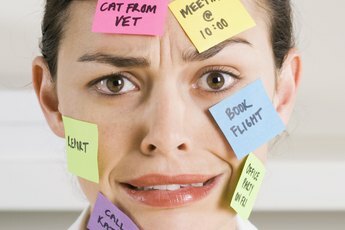 Now that you have your list, decide what specifically about your job is ruining your mood. See if there's a way to avoid it or change it. If you realize you're anxious every time you have to face a group, make a list of your options. Take a class or seminar on public speaking to boost your confidence. Assess your wardrobe and decide if it's outdated or poorly fitting clothing that's causing your anxiety. 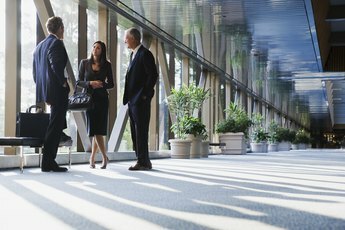 Consider asking for new responsibilities at work, or getting involved with a charity event. If none of these solutions help you quash presentation anxiety, consider ways to move into a different type of position at work. For example, if presenting or teaching is leading you to feel anxious, maybe you can bridge your skills into a similar role that avoids public speaking, such as administrative work, curriculum development or tutor managing. Similarly, if staring at a computer all day causes you to feel drained, explore opportunities to take on more social roles at work. Meet with your HR representative or company counselor for strategies to work on your unhappiness. You won't be judged by asking for advice. These resources are available to help you at times when work becomes overbearing or underwhelming. If you don't have these resources at work, consider seeing a professional counselor outside the workplace. Speak with the counselor candidly about the things that bother you at work so she can guide you toward solutions. 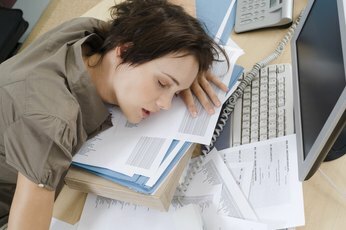 According to a Theravive.com article "What Is Professional Burnout?" you should also consider an exercise routine to combat stress or take a vacation to get away from work for a while. These changes of routine might kick up your endorphins and lead you to a happier work life. Don't get frustrated if you can't isolate the source of your unhappiness after one day. You may need to journal for several days or weeks to realize what irks you most about your job. Act on your findings sooner rather than later. Catherine McCarthy, a clinical psychologist cited in "Harvard Business Review," explains that certain signs of unhappiness can indicate that action is necessary. While feeling a little unhappy at times is normal, if you're distracted, sluggish, irritable, or relying on food and alcohol to make life more comforting, it's time to take action and better your life. Theravive: What Is Professional Burnout?